We’ve all been there. Worried glances towards your significant other in the passenger seat, trying to divine fortunes from furrowed brows and hesitations. That sinking feeling that maybe this isn’t working so well anymore. But maybe it could again in the morning. 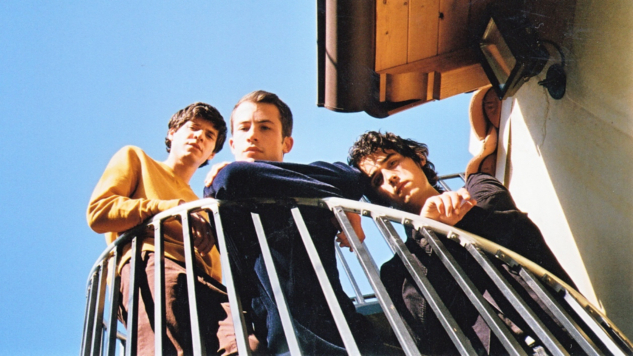 Wallows’ single “Are You Bored Yet?” is the fourth track from their debut album Nothing Happens, out everywhere today, March 22, via Atlantic Records. The song is just one of many shimmering, synth-infused explorations into the coming-of-age intricacies of young adult life—the loss of innocence, nostalgia, anxiety. “Are You Bored Yet?” explores a dreamier pop territory when compared to the band’s usual alt-rock stomping grounds. Chiming piano and delicate guitar riffs, layered with Clairo’s voice, weave a gossamer atmosphere that provides an infectiously deceptive cover for the song’s underlining worry: fear and dishonesty. Watch the official music video for “Are You Bored Yet?” below, as well as the band’s recent performance of the song in the Paste Studio. You can stream Nothing Happens in its entirety here.